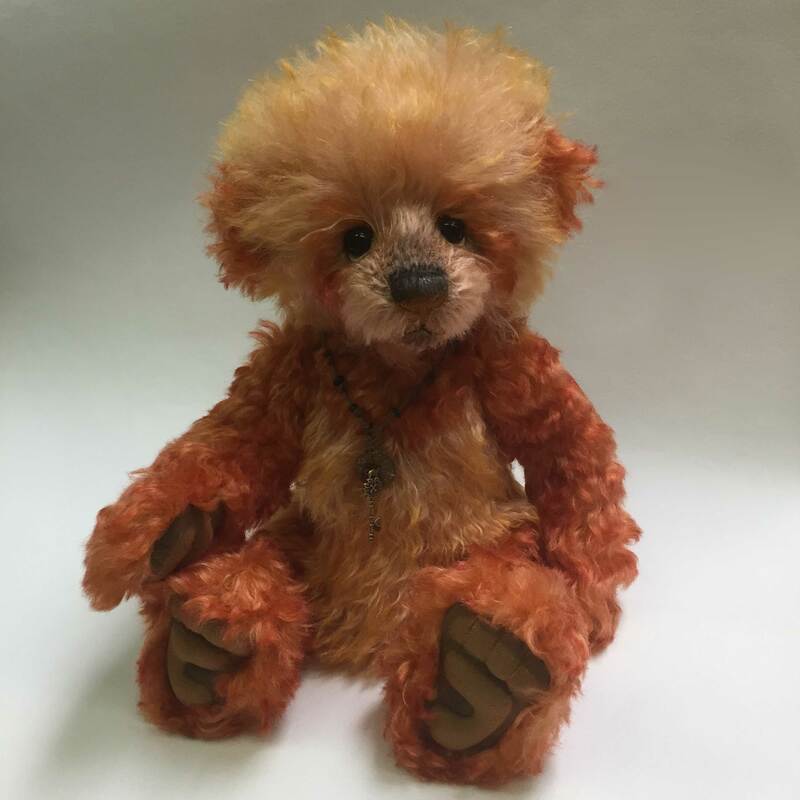 Charlie Bears Isabelle Collection "Orange Pippin"
"Orange Pippin", a wonderful, fluffy bear from the Isabelle collection. 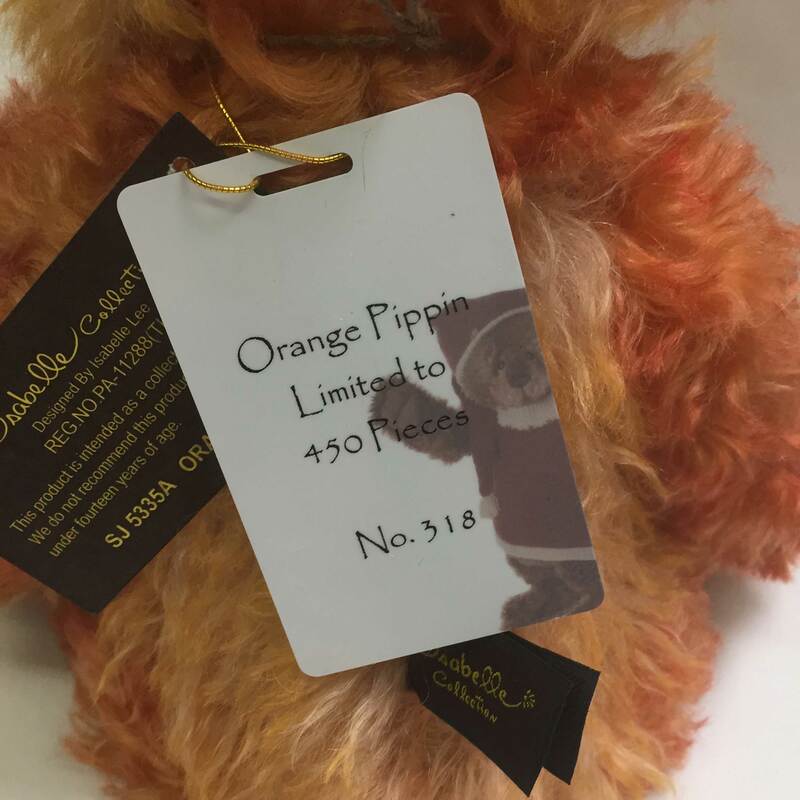 Made from long lustrous mohair in shades of rusty orange & orange sherbet, Orange Pippin is about 14 inches in size. 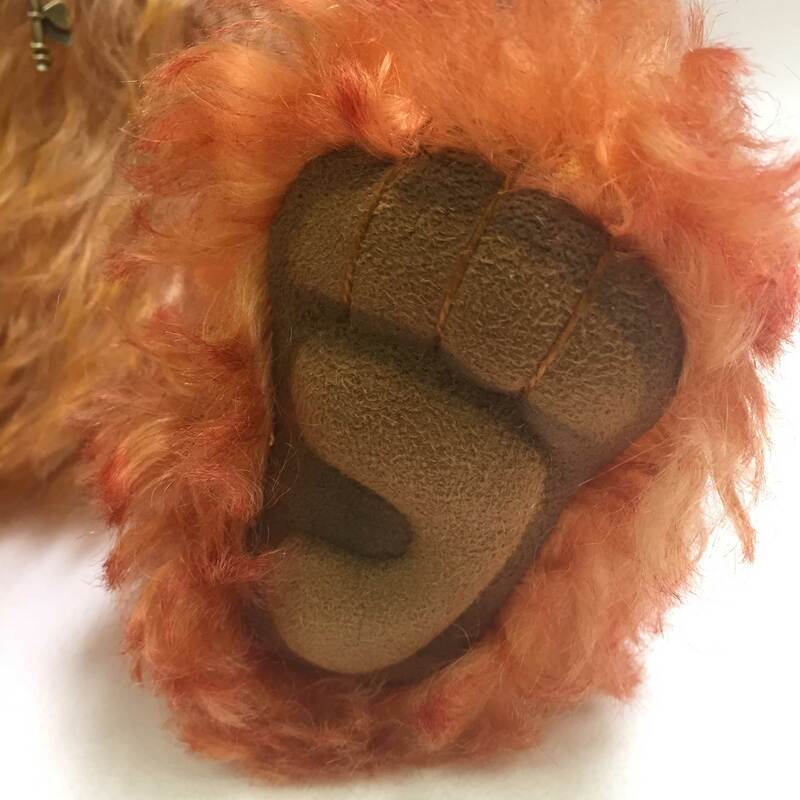 This bear is fully (loosely) jointed for posing, with pulled shaded paws. 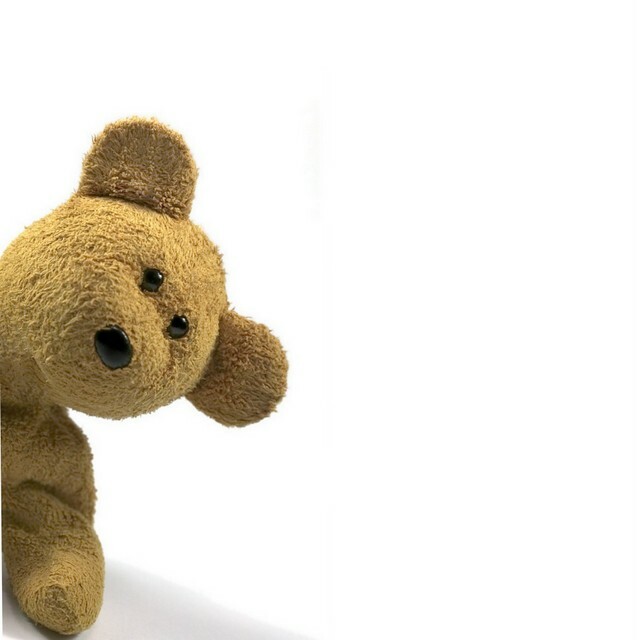 Overall, an irresistible bear! 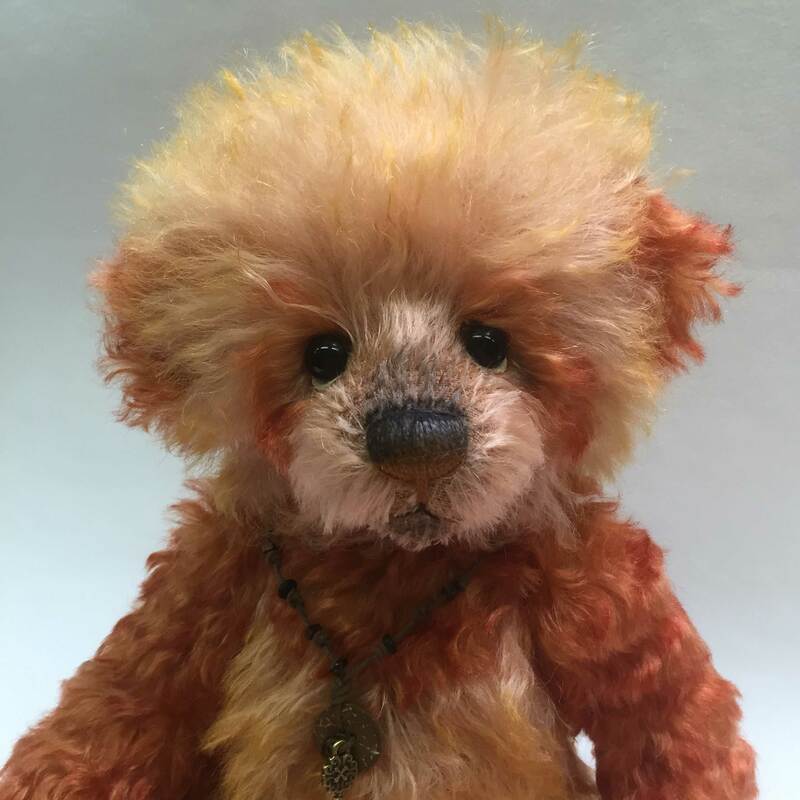 Orange Pippin will make a unique and huggable addition to any collection. 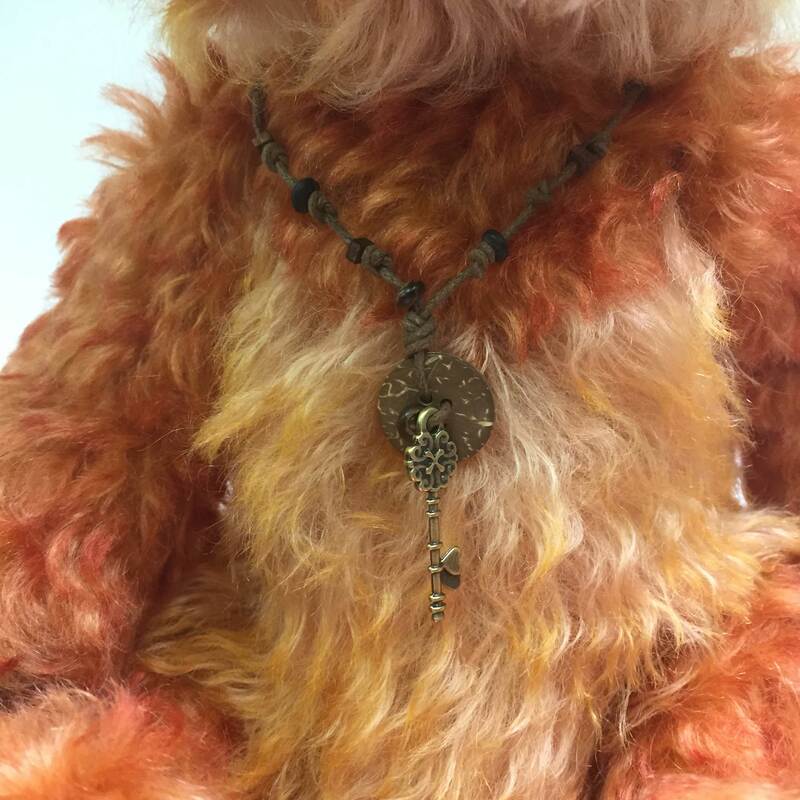 As beaded necklace with metal pendant and key completes this bear. A brown embroidered fabric bag accompanies this piece (not shown in these photos), as well as the attached tag as shown below. A limited edition of 450. The piece shown and offered herein is #318.